This is a picture of an air conditioner vent, where I have removed the louvered cover. Around the edges, you can see where some of the paint stuck to the cover and pulled away when the cover was removed. Although this house is only 30 years old, the walls have been covered with many layers of paint (probably due to children of different ages and genders using the room over the years). None of this paint would have been oil-based, but you are still going to find disparate and incompatible layers applied on top of one another. The biggest issues here would be paint applied over dusty walls, or paint applied over a glossy surface, such as semi-gloss paint. It’s not likely that the new coat of paint would be able to adhere really tightly to either dust or gloss. 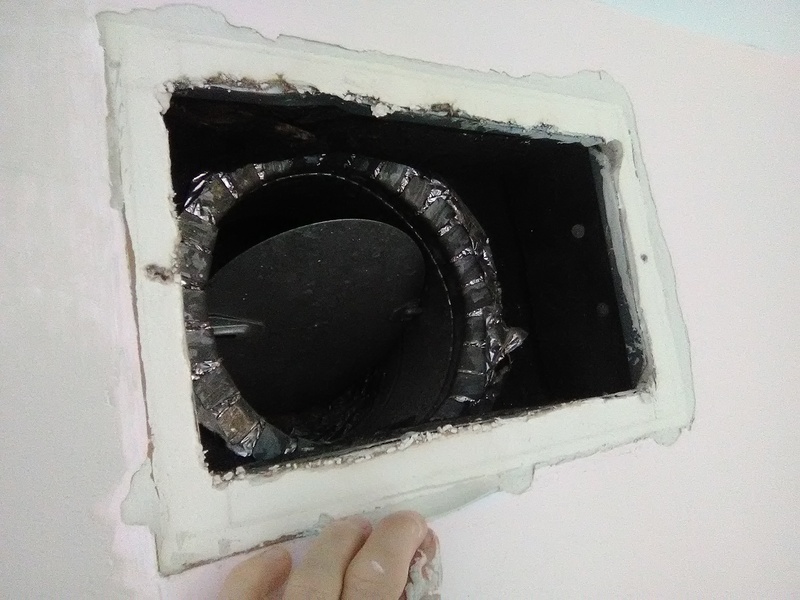 So when the air vent cover came off, you can see that it pulled off several layers of paint, probably right down to the drywall. I had a feeling that, if I tried, I could work at that wall and peel off all those layers of paint pretty easily, right down to the drywall. The lesson here is, walls should always be prepped properly before any treatment (paint, wallpaper, wood veneer paneling) is applied. What is proper prep? Well, that’s a topic for a whole ‘nother discussion! This entry was posted on January 7, 2019 at 12:50 am and is filed under Uncategorized. You can follow any responses to this entry through the RSS 2.0 feed. You can leave a response, or trackback from your own site.